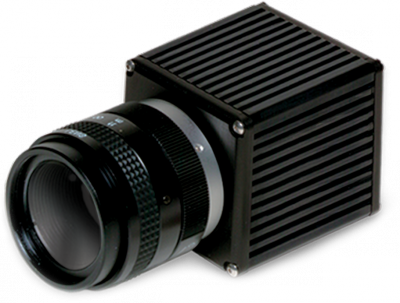 Mil-Rugged InGaAs video camera featuring high-sensitivity and wide operating temperature range. It provides real-time daylight to low-light imaging in the Short Wave Infrared (SWIR) wavelength spectrum for persistent surveillance, laser detection, and penetration through fog, dust, and smoke. The compact 320HX-1.7RT is a Mil-Rugged InGaAs video camera featuring high-sensitivity and wide operating temperature range. It provides real-time daylight to low-light imaging in the Short Wave Infrared (SWIR) wavelength spectrum for persistent surveillance, laser detection, and penetration through fog, dust, and smoke. In addition, the camera employs on-board Automatic Gain Control (AGC), proprietary dynamic-range enhancement technology, and built-in non-uniformity corrections (NUCs), allowing it to address the challenges of urban night imaging without blooming. Simultaneous RS170 analog and CameraLink® digital output provide a means for plug-and-play video and high quality 12-bit images for image processing or transmission. The light-weight, compact size, and low power consumption enables easy integration into surveillance systems, whether hand-held, mobile, or aerial. Optiona NIR/SWIR technology is available to extend the sensitivity of Sensors Unlimited's camera down to 0.7 μm, offering the advantage of both Near Infrared (NIR) and Short Wave Infrared wavelength response.